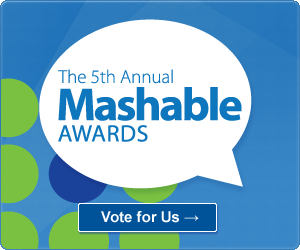 Congratulations LiveJournal on being named a finalist in the 2011 Mashable Awards: Best Social Network. For more than 10 years, LJ has changed the way people communicate with each other. Our global reach spans across millions of users, journals and communities. We have been with you when you were bullied ( bullying_begone), when you were obsessed with fanfiction, when you discovered the mind-numbing power of celebrity gossip ( ohnotheydidnt) and when you just wanted to share what was on your mind with the rest of the world. Thanks to our users, LJ has been able to define the core concepts of Social Media: communication, creation and content across all online channels.